Efficiency is the ability to avoid wasting materials, energy, efforts, money, and time in doing something or in producing a desired result. [...] In more mathematical or scientific terms, it is a measure of the extent to which input is well used for an intended task or function (output). It often specifically comprises the capability of a specific application of effort to produce a specific outcome with a minimum amount or quantity of waste, expense, or unnecessary effort. The audio Compact Disc (CD) and Super Audio CD (SACD) can store a digital audio signal without audible quality loss, especially when proper analog-to-digital conversion, sampling rate conversion, and noise-shaped bit-depth conversion [ Helmrich, 2007] are used. However, the uncompressed pulse modulation formats which they employ are inefficient since both redundant and perceptually irrelevant information remains in the coded data. In other words, storage capacity is wasted on unimportant signal parts. On this page, some more recent and much more efficient audio compression formats are presented. I had the privilege to participate in the development of some of them. Nullsoft's Winamp was one of the first – and, in my humble opinion, still one of the best – freely available software media players. Around the turn of the century I started using it extensively and even created my own skin and file format plug-in. Needless to say that I was very excited when, working for Fraunhofer, I was given the opportunity to optimize Fraunhofer's HE-AAC encoder for integration into Winamp 5.6 in 2011. Spe­cifically, I increased the audio coding quality on some input signals and in VBR mode. MPEG-4 HE-AAC, published in ISO/IEC 14496-3, remains one of the most widely used coding specifications. Developed a few years after MP3, it outperforms the latter in audio reconstruction quality at a specified average bit-rate and complexity. Fraunhofer's HE-AAC enco­der bundled with Winamp versions 5.62 (June 2011) through 5.666 (December 2013) fully exploits the coding capabilities offered by the ISO/IEC standard at a very high encoding speed. In independent blind listening tests con­ducted between July 2011 and November 2013, it ranked first (at 64 and 96 kbit/s VBR stereo) and second (at 96 kbit/s VBR stereo) among the best HE-AAC encoders available today. 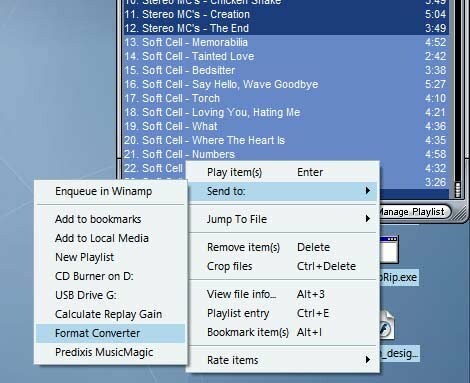 To convert your audio files into the HE-AAC format, mark all tracks in Winamp by left-clicking on them (holding Ctrl or Shift if necessary), then right-click into the playlist and select «Send to:», «Format Converter». In the Encoding Format drop-down list of the appearing dialog box, select «MPEG-4 AAC Encoder v1.08» and configure it as desired. format using the Format Converter dialog in Winamp. During and after my work on Fraunhofer's HE-AAC encoder, I joined the development of two other coding standards: MPEG-D Extended HE-AAC (xHE-AAC), published under the name unified speech and audio coding in ISO/IEC 23003-3, and MPEG-H Audio, specified in a second edition in ISO/IEC 23008-3. 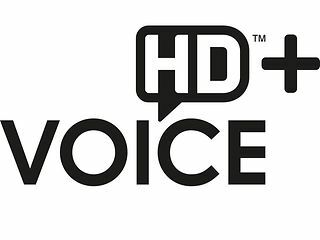 MPEG-H Audio is based on MPEG-D xHE-AAC but allows for higher multichannel coding efficiency and, in its Low Complexity configuration, requires fewer decoding operations. A detailed comparison of the codecs, including subjective test results, is provided in my dissertation [ Helmrich, 2017]. In my dissertation I demonstrate that, at bit-rates as low as 48 kbit/s stereo, MPEG-H Audio yields at least the same audio coding quality as xHE-AAC (sometimes even better quality), and it does so at roughly one third lower decoding complexity. Since xHE-AAC outperformed all competing codecs in a subjective verification test in 2011 [ report] and I think that bit-rates lower than 24 kbit/s per channel are unnecessary nowadays, I consider MPEG-H Audio the most efficient lossy codec developed as of 2018. Recent versions of the OPUS codec (see below) or Dolby's AC-4 may match MPEG-H in audio quality at higher bit-rates, but I don't expect them to outperform it at any bit-rate (an assumption which, of course, needs to be verified via formal subjective evaluation). ducted by Nokia in 2014. At Fraunhofer, I participated in the development of the EVS transform coding design, and I used the experience which I gained from optimizing Fraunhofer's HE-AAC encoder (see above) to fine-tune the audio reconstruction quality of the EVS codec, especially at the 16.4 and 24.4 kbit/s operating points. As Fig. 3 illustrates, the perceptual quality achieved by EVS in its superwideband (SWB, up to 16 kHz bandwidth) and fullband (FB, up to 20 kHz bandwidth) modes at such low bit-rates ended up being quite remarkable. By the end of 2017, several smartphone vendors have added support for EVS coding and decoding to their devices (sometimes labeled HD Voice Plus™), including Apple's iPhone 8/X, LG's G5, Samsung's Galaxy S7, Sharp's Aquos Zeta, Sony's Xperia X/XZ, and Xiaomi's MI5. Using these and later smartphones, high-quality EVS-powered voice calls can be made with service providers in Germany [ source] and Spain [ source], the United Kingdom [ source], the United States [ source], and Japan [ source]. A stereo, surround, and VR extension for EVS is currently being developed under the 3GPP work item 770024. Completion of the resulting Immersive Voice and Audio Services (IVAS) codec, to be standardized in 3GPP specification 26.253, is planned for December 2019. I will update this page once the IVAS software is publicly available. Having finished the first edition of my dissertation [ Helmrich, 2017], I finally had the time for an after-work project which had long been on my to-do list: a constrained VBR (CVBR) version of the publicly available open-source lossless audio coder FLAC. FLAC, being a mathematically lossless audio codec, inevitably creates VBR streams as compressed files. Depending on the «difficulty» of coding each segment of the audio signal, the instantaneous coding bit-rate can be quite high. However, one can observe that, during passages of high FLAC bit-rate, the coded audio also exhibits the greatest ability of psychoacoustic masking. FSLAC exploits this property to limit the maximum instantaneous bit-rate of the compressed file. It does so by detecting the difficult audio blocks (by measuring their predictability via linear-prediction error energy calculations) and requantizing each of the detected blocks to a lower bit-depth, thereby reducing the bit-rate needed for lossless coding of that block. To prevent the quantization error from becoming audible (or visible in a spectrogram), simple adaptive noise shaping is used. This approach is similar to the one used by LossyWAV, but differs in two important aspects. First, FSLAC is not a stand-alone pre-processor but instead is coupled with a FLAC encoder and, hence, directly creates FLAC compatible compressed files. Second, FSLAC only alters the high-bit-rate audio segments, not (almost) all parts of the audio input as LossyWAV does. The coded audio, therefore, remains perceptually lossless. In addition, it is worth noting that, due to its simplicity, FSLAC encoding is very fast. All of these features make FSLAC attractive for audio production and archival applications. You can download an executable of a FLAC encoder with added FSLAC functionality below (Win32 release, compiled with Visual Studio 2008). The FSLAC.EXE can be used on the Windows command-line or, when renaming it to FLAC.EXE, in foobar2000. Note, however, the list of known issues with this executable. If you are interested in the specifics of the FSLAC algorithm or would like to compile your own binary (kindly let me know if you did! ), you can also download the source code file that I had to modify. All FSLAC related code is encapsulated in the define ECODIS_CVBR_MODE (line 72). To convert your lossless files using FSLAC in foobar2000, select the tracks to convert in the playlist, then right-click on a marked track and select «Convert», «Quick Convert». In the appearing dialog box, select «FLAC <N/A>», edit the compression level if desired (the lower the level, the lower the maximum FSLAC bit-rate—level 8 limits around 1000 kbit/s) and, after clicking on «Convert», locate the downloaded F(S)LAC.EXE if required. All lossy perceptual audio codecs discussed above are royalty-bearing, meaning that, to use these codecs, you (or your software provider, e.g., Nullsoft/AOL) need to pay the companies owning the patents on the applied coding techniques. The OPUS speech and audio codec, as specified in 2012 by the Internet Engineering Task Force in RfC 6716, is an open-source codec with surprisingly good subjective performance which, like FLAC (see above), does not make use of any patented third-party technology. Thus, OPUS can be downloaded, compiled, integrated, and used free of charge. The encoder is still being improved for better quality and stability, as can be seen here. Since version 1.1 from 2013, OPUS yields encodings of very high quality, except at very low bit-rates (see Fig. 3 above). The last version is 1.3 from 2018, featuring a robust speech/music classifier and slightly better coding quality especially at low rates. I beta-tested version 1.3 in June 2018 and reported a coding bandwidth detection and a speech/music classification problem, both of which were corrected in the final release. Being a low-delay codec with a speech core (SILK), OPUS also competes with EVS. Fig. 5 illustrates the growing popularity of the OPUS codec among experienced users (not audiophiles! ), in this case the HydrogenAudio community. Based on this analysis, one can expect OPUS to «catch up» with HE-AAC in market share around the year 2020. Note, however, that by then, the essential HE-AAC patents will have expired (the PNS, SBR, and PS patents are the last ones running). This will allow implementing a fully licensing-free AAC Low Complexity codec, as is already the case with MP3. For all historians: some early documentation of OPUS's transform coding core, called Constrained Energy Lapped Transform (CELT), is archived here (papers from 2009). A further subjective comparison of OPUS and EVS on music content is available here. My experience in audio coding research and development leads me to conclude that the performance of the last-generation audio codecs, as indicated above and in my dissertation [ Helmrich, 2017], has matured to the point where the small perceptual benefits of more elaborate signal processing are not worth the increase in algorithmic complexity. Moreover, I believe this is the case for both the decoder specifications and encoder implementations. At least for mono, stereo, and 5.1 surround, the inaccuracies of human hearing seem largely exploited (by irrelevancy removal and parametric coding), and the remaining statistical redundancies within the coded data have been reduced to a minimum (except maybe in some signaled parameters, see sec. 3.6.2 of my doctorate thesis). The only thing left to do, in my view, is to make greater use of post-processors similar to the in-loop filters in video coding. Such techniques can improve the reconstruction quality of very tonal or transient signals, as has been demonstrated by the LTP post-filter in EVS and MPEG-H Audio as well as an applause post-filter. Update Nov. 2018 Neural-network based post-filtering for blind bandwidth extension of speech at low bit-rates also seems a promising topic for further research, see here. The following offers a demonstration of the low-bit-rate performance of the presented audio codecs when applied to a 16-second 2-channel music signal losslessly extracted from an audio CD *. Click the play/pause ( ) buttons below to start and stop the play­back of each demo. For each coding format, I tried to select from several encoders and configurations the one yielding the best audio quality at the target bit-rate of 32 kbit/s. You can download the encoded files (bit-streams), along with a brief description of the encoder settings used and alternative encoders not considered for this demo, here. * digitally extracted excerpt of track 11 of the «Discography – The Complete Singles Collection» audio CD by the Pet Shop Boys from 1991, used under the U.S. Fair Use doctrine for nonprofit educational purpose. The decoded waveforms were transcoded to high-bit-rate MP3 for best playback compatibility. The following is a demonstration of the most widely used speech coding standards on 16 seconds of one-channel speech signals losslessly extracted from the SQAM CD. * digitally extracted excerpts of tracks 53/54 of the EBU «Sound Quality Assessment Material» audio CD from 1988, utilized under the U.S. Fair Use doctrine for nonprofit educational purpose. For play­back, the decoded waveforms were transcoded to high-bit-rate MP3 to maximize browser compatibility. Notice how the speech clarity increased and the coding noise decreased over time. By the way, if you are planning to perform a formal blind listening test, I suggest you take a look at this listener guideline which I wrote for the HydrogenAudio community. For all German speaking readers of this web site: eine deutsche Version gibt's hier.